What Skills Do You need to Develop to Become a Data Scientist? Data Scientist job and the job title itself is packed with core skills. Among the many aspiring data scientists, you have to have competent data science skills. This will surely fetch you lucrative data science jobs. But you have to spend dedicated time to learn Data Science skills. So what are those skills? That you should master to leverage your position as a data analyst or scientist. R is for statistical computations, data analysis and graphical representation of data. It is used for experimenting with data science. It offers you an extensive library of tools for database manipulation and wrangling. Furthermore, R has many tools that can help you in data visualization (visualize data), analysis, and representation. Significantly, it allows you to practicing a wide variety of statistical and graphical techniques. For example, time-series analysis, classification, classical statistical tests, clustering, etc. Python is open sourced and flexible. It is very important among data science skills. You will find using this language easy if you have prior knowledge in Java, Visual Basic, C++ or C.
Furthermore, a lot of banks use this tool for crunching data. Some institutions use it for analyzing and visualization. Equally, Python offers you the benefit of using one programming language, across multiple application platforms. With Hadoop, you can process large data sets across clusters of computers using simple programming models. Therefore learning Hadoop is very important. Computing power: It can process huge amounts of data. The more nodes you use, the more processing power you have. Flexibility: It can store data without any preprocessing. Moreover, it can store even unstructured data such as text, images, and video. Fault tolerance: If one node fails during data processing, jobs are redirected to other nodes and distributed computing continues. Low cost: The open-source framework is free. Moreover, data is stored on commodity hardware. Spark is important among the data science skills. It is emerging in popularity next to Hadoop. Moreover, Spark has 4 core components. First, Hadoop Common. This has essential utilities and tools referenced by the other modules. Secondly, Distributed File System. That is the high-throughput file storage system (HDFS). Furthermore, it has Hadoop YARN. This is the job-scheduling framework for distributed process allocation. Significantly, it also has MapReduce. That is the parallel processing module based on YARN. Among the above, Spark replaces only two. Namely, YARN and MapReduce. Learning SQL is important among data science skills to acquire key data scientist positions. SQL is Structured Query Language. It is used for managing data held in relational database management systems. Furthermore, if you want to play with big data, you’ll want to know some SQL. It is essential in computer science skills. You can generate Queries from a Query. That is Basic string concatenation makes it easy to generate en masse queries. That use data in a database to fetch data found in another system. Significantly, you can Handle Dates. Here, “Fantastic date functions” exist to meet all your formatting and type conversion needs. Equally, you can do Text Mining. Yhat recommends going as far as you can with SQL’s built-in string functions before turning to a scripting language. Additionally, you can Find the Median. Since there’s no built-in aggregate function for median, Yhat provides the code. Furthermore, you can Load Data into your Database with the \COPY command. Lastly, you can Generate Sequences. You use the generate_series function to create ranges of dates and times and to handle time series and funnels. Machine learning is important among the data science skills. Moreover, Machine Learning is the core sub-area of artificial intelligence. It makes computers get into a self-learning mode without explicit programming. Significantly, with Machine Learning you can do high-value predictions. This will aid in better decisions and smart actions in real time without human intervention. 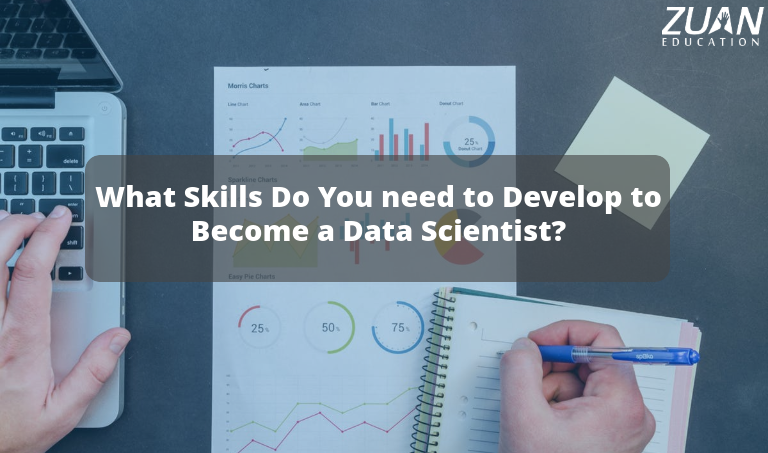 Apart from the above-mentioned data science skills, you will require other general skills to start a career in Data Science. This involves various soft skills, knowledge of multivariable calculus, linear algebra and vital communication skills.